Whatever that means. The only real new feature they mention is that the new styli have a thinner 5mm rubber nib, which makes them more precise. The new Bamboo Solo costs £17 and, unlike the bamboo alpha, it comes with a cap to protect the nib. 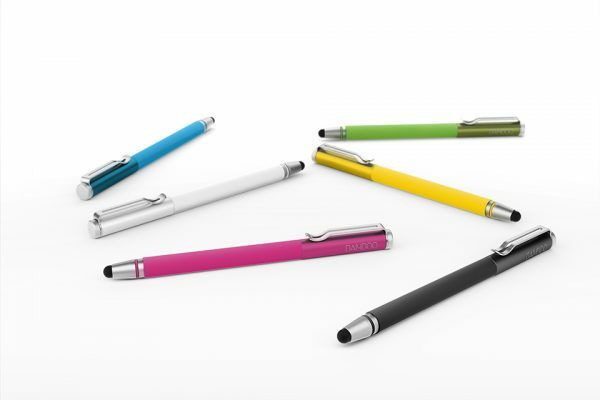 The new Bamboo Duo costs £25 and has a ballpoint pen on the other end of the stylus. This is so you don’t have to bear the hassle of carrying around another pen for writing on paper. Also it comes with a cap, but only one cap, so you can only cover either the stylus nib or the pen nib but not both. This seems like a design oversight. They all have the ability to replace the rubber nibs if they wear out, and you can buy a pack of 3 extra nibs for £5. That’s £5 for a few bits of rubber. So it’s basically a rip-off, still, it beats having to use a sausage instead.